It was inevitable- a post about the top stories on Experience Optimism for 2010. However, for me, measuring why they were top had to be more subjective than comments or click-throughs. With 344 posts to choose from, I've decided to highlight 18 for various reasons. I hope you like our year in review. What do Optimist Clubs raise money for? Thank you for reading our positive stories here on the Experience Optimism blog. It's fun and challenging bringing them to you. As always, when you see something good happening in your community, please send us a note. Tell us about good deeds, positive activities and upbeat stories that make you happy. When I saw this video on Big Think, it made me think more about my post from yesterday, Are you a member or a volunteer? You see, I've always thought of volunteering as being a rather lonely sport as someone looks for a cause or group to support; searching for somewhere to fit in. Finding the right group, joining, belonging, and being accepted represents success. According to John Cacioppo, Neuroscientist, University of Chicago, perhaps loneliness is a chosen pursuit. He says, "Since the latter half of the 20th century, the US has been moving towards greater individualism." If we no longer need a group to build our self esteem, then we have to begin to imagine why we might need others in our lives. Some basic reasons that come to mind for me are collaboration and procreation. Please take a look at Mr. Cacioppo's video and share your thoughts. Why do we need others in our lives? Why do we think we can do it all alone when there are so many that can help? Do you think that online communities are leading to more sharing and collaboration? Are you more or less likely to join a physical or online group of like-minded people? Are you a member or a volunteer? Members are the strength of any organization for they provide the inspiration, funding, and volunteer coordination for a variety of community service projects. However, there seems to be a trend towards the ubiquitous volunteer over the focused membership model. Have you ever stopped to analyze the difference? Volunteers and members give their time to their causes for free. Volunteers and members give money to causes they support. Volunteers and members perform projects that enhance their communities. Volunteers and members enjoy satisfaction from knowing they have helped others or made a difference. Wow, they do sound the same. What is the difference? To answer the question, I took a look at Google's new Ngram viewer to see how the two words have been viewed over time in literature. Take a look at the chart comparing the two words from 1900 to 2008. The red line is Member. The blue line is Volunteer. Click on the chart to enlarge. It is very clear that 'member' meant something special to authors of modern literature with peaks around 1920, 1940 and 1970. 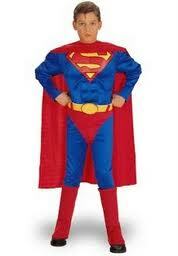 During those times it was normal to seek acceptance and belonging was key to career and social advancement. While there is a decline in 'member' after 1980 and again in 2000, 'volunteer' has not kept up the pace. It appears that fewer people are belonging and volunteering. Or perhaps, fewer authors are writing about either. No matter which word we use, no matter which scenario we choose, the trend is one we need to reverse. We need to write, talk and volunteer. As for me, I like to belong to a group that shares my desire to do good today and has plans to continue to do good tomorrow and beyond. I like being a member of a community who just so happens to volunteer my time, talent and treasure. Let's hear it for the membership model for members belong; and as a group, they strive for understanding and generate love and a sense of pride. They have-your-back when you collaborate to invest in a better tomorrow today. A friend of mine who hails from Nebraska updates his Facebook status regularly, sometimes several times a day. A great majority of his posts are about his activities with Optimist Clubs. He is especially active with Junior Optimist Octagon International (JOOI) and it's always wonderful to hear about the positive programs in which our students are involved. Won a grant for "Don't Drive Intexticated" and led an awareness program against texting while driving. Some service clubs struggle to do a project a month, but the energy and creativity of students can keep us active sometimes on a weekly basis. Finding an adult mentor and chaperon to keep up with their projects can be a daunting task and truly a labor of love. Many thanks to my friend, Mark Clausson, Immediated Past Governor, for the great service he provides to the Optimist Clubs, JOOI Clubs, and especially the students in the Nebraska District - Optimist International. The Planetarium in Arlington, Virginia was scheduled to be closed. It had a momentary reprieve when the School District took over funding the operational costs, but that was short-lived as it fell victim to the budget ax, losing more than 60% of the needed funding. 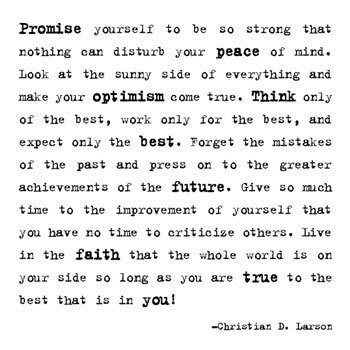 Enter the Optimist Club. When the Arlington Optimist Club's president-elect heard about the plight, he and his fellow members became champions of the cause. According to Brig Pari, they need to raise $402,000 by June 2011. There is no assurance of their success, raising money is always a challenge, but the good news is they have already raised $130,000. The money will be used for more than operational costs. It will help the planetarium install new equipment to enhance the entertainment and educational value. To read more about the project and the Arlington Planetarium, please visit the website at http://saveplanetarium.org/. Please consider making a donation while you are there. The Optimist Club thanks you; and so do the children in Arlington, VA. I hope you enjoyed the day of celebration known as Christmas. No matter your faith, one of the greatest joys of the season is gathering with loved ones and sharing our activities from the past year. Of course not everyone gets to have that experience. Some are away from home serving their country while others find themselves away from family and close friends for other reasons. For some, the warmth of the season is just out of their grasp. Perhaps you know what that feeling is like. 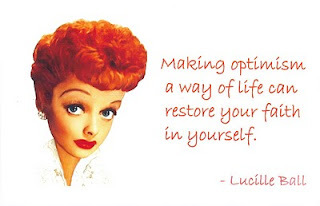 I think it's a whole lot like the video that I'm serving up for Music Sunday here at Experience Optimism. Sometimes we find ourselves feeling like John Mayer's "Waiting for the World to Change." What do you do when it's time for change? How do you keep the faith? It's that time of year when we say 'Happy Holidays' to everyone we meet. It's a simple statement that I am certain means more to some than others. So this year, I send wishes to you that bring will hopefully bring joy and kindness to all. Stay warm. Help others stay warm as well. Donate a blanket, coat, socks or shoes to a homeless shelter. Keep your family and friends close. Do more than send a text message, email or Facebook update. If you can't be with them, call them. Now. Travel safely. There are a lot of people travelling to their holiday destination. Take your time; offer to drive others who may not otherwise get out. Smile. Nothing helps holiday stress more than a genuine smile. Try it. Laugh and be merry. There really is something to the traditional "Merry Christmas" wish. Help someone else laugh as well. Be thankful. Recognize what is good in your world. Oprah Winfrey said, "Be thankful for what you have; you'll end up having more. If you concentrate on what you don't have, you will never ever have enough." 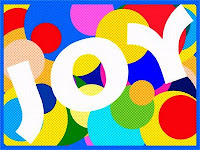 I hope that you find peace, joy, love and contentment during this time of celebration and in the new year. I've posted a few stories with pictures of Shop with a Cop programs on the Experience Optimism page on Facebook. Oddly,they weren't clicked through as frequently as other stories have been. I thought Christmas was all about kids, and Optimist Clubs were all about making sure that everyone had the opportunity to celebrate? The organizing group raises money to send children on a shopping trip. On the day of the event, each child is told how much they have to spend. An adult, often a police officer, is partnered with a child and goes along with them to be sure that they buy something for themselves. That's right; most kids want to spend the money purchasing gifts for others. Now I think that is the spirit of Christmas. Click here for pictures from the Calvert County Optimist Club Shop with a Cop Day. Click here for pictures from the Timonium Optimist Club Shop with a Cop program. Click here to see more about the Gresham Optimist Club Shop with a Cop program. Photo courtesy of Jean Jensen, Optimist Club of Gresham, Oregon. Testimonials are an effective promotion for Optimist Clubs and often they come in the form of letters to the editor written and published in local newspapers. Following is a thank you letter for the Optimist Club of Barrie, Ontario from the president of the Candlelighters of Simcoe, Ontario. BARRIE - Optimist Club of Barrie volunteers have touched the lives of families of children with cancer for the last eight years by providing a spectacular Christmas party for the Candlelighters Simcoe Parents of Children with Cancer organization. Despite a winter storm, 130 parents, children and volunteers participated in an amazing afternoon of activities including crafts, music, balloon creations, food and gifts from Santa who made the trek through snow and ice. We would like to make special mention and thanks to all the Optimist Club volunteers, Adrian Wood the balloon man, Peggy and Ted from Running Shoes musical entertainment and to some very special Candlelighters Simcoe volunteers who did an amazing job on the Christmas crafts. It is always heartwarming to see new families arrive somewhat uncertain about the event but by the end of the afternoon be smiling, making new friends and enjoying themselves immensely. We appreciate these caring and compassionate volunteers who have brought a shining light to families of children with cancer at a difficult time in their lives. Candlelighters, now known as The American Childhood Cancer Foundation, were formed forty years ago by parents of children affected by cancer. Their goal is to "light the way" and provide support, information, advocacy and childhood cancer research. Optimist Clubs often choose to partner with the local Candlelighters group as their Optimist International Childhood Cancer Campaign recipient. Our Optimist Clubs frequently say they need more promotion and wish for celebrity spokespersons. One of the challenges of a celebrity spokesperson would be finding the one person who speaks to all populations. Earlier this year a new Optimist Club was built in the Little Haiti neighborhood of Miami, Florida. Named for its community, you might imagine that the members of the Little Haiti Optimist Club and the children that benefit from their service are a different demographic than an Optimist Club in Utah, Oregon, or Idaho. Not only do they live in a different part of the country, in differently styled or appointed neighborhoods, they are significantly younger than the average Optimist Club member. So knowing who could speak to their community best, they created their own Celebrity Support video. Please take a look at a Celebrity Support video for the Little Haiti Optimist Club. Don't know the celebrities? That's okay, it wasn't meant for your community. But it is a great, easy idea that you can do for your Optimist Club. Get out your Flip Video and at your next Chamber of Commerce meeting ask your local celebrities to support your Optimist Club. It's local, relevant to your demographic, plus it really is free and easy promotion. Please be sure to send me your link or your video once it is published. Let's show our support for our Local Optimist Club. 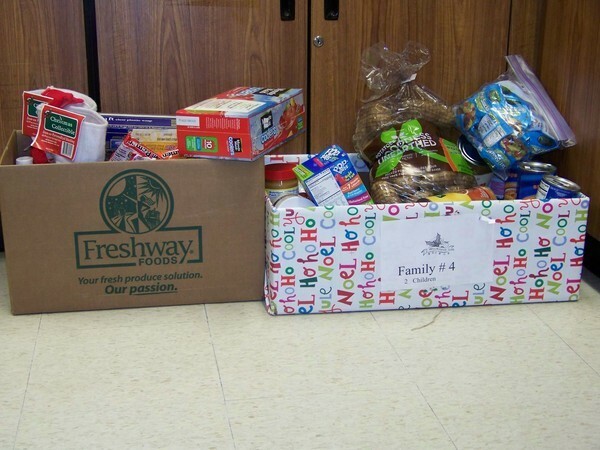 Christmas baskets, loaded with food and presents, are a regular project for Optimist Clubs. Members of the Optimist Club of Pasco-Tri-Cities in Richland, Washington made a "Supermarket Sweep" to fulfill their requests. As you will see in the slideshow, members have fun together as they serve their community. Most clubs ask for donations from the community. That's what the Junior Optimist Club at Hartland High School in Hartland Township, MI did. 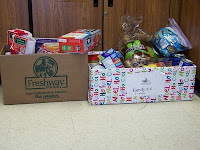 They collected 4,000 pounds of food and supplies with help from their friends in the school district. Their school advisor, Nicole Conley, commented on the student' generosity. She said, "I am always awestruck how much teenagers want to give. Many people believe them to be selfish creatures, and some are, but I generally believe they lack the knowledge of how to get involved. Optimist Club members will agree with Ms. Conley's statement. That's why they spend time with children, providing projects for them to do and as they get older, helping them to carry out projects on their own. A caring community begins with caring, involved adults. We like to call them Optimist Club members. Read all about the Junior Optimist (JOOI) project here. The Optimist Club of Calgary, Alberta, Canada celebrates Christmas in their community with the Optimist Festive Showcase Concert - a magical pageant of talent and joy at the Southern Alberta Jubilee Auditorium. Enjoy! Most everything is festive during the holiday season. It is only right that our music should be happy and lighthearted as well. As I was shopping this week, I discovered it was more fun when the tempo was upbeat and this song especially caught my fancy. Please enjoy Mariah Carey in "All I want for Christmas is you" for Music Sunday at Experience Optimism. Dancing is encouraged. We've archived over five hundred community service projects here at Experience Optimism. Most have been performed by Optimist Clubs. But as we near the end of 2010, I think it is time to reach out to more service clubs, more groups and more individuals. Can you help make this blog more dynamic, interactive and far-reaching? Can you - will you - share your stories with us? You might make a difference for just one other person. We want to hear about it. You might touch the lives of hundreds or thousands of people. We want to hear about it. You might have a great idea that you want to run by others for support. We want to hear about it. You might have had a kindness done to you or witnessed something positive happening to others. We want to hear about it. Experience Optimism is here to support and promote good things done by real people in our very real communities. We believe that hearing about positive, proactive stories will make you happy and inspire others to do something good too. Get active and involved in your community and of course - please follow us on Twitter, talk with us on Facebook, and send us your stories. Thank you. I am originally from the Midwest - Granite City, Illinois to be exact. 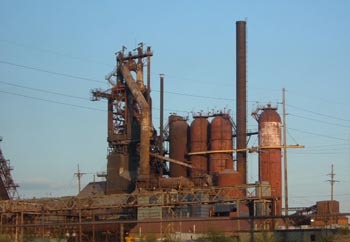 Granite City was once an industrial town with steel mills that bolstered the standard of living. Today it is in transition and sadly, it has been in this transition for nearly twenty years. Nonetheless, Granite City is where I grew up, started my first business, and first joined an Optimist Club. It holds childhood memories, coming of age exploits, failures and successes, and the expectation that it is right to give back to our communities. When I left Granite City twelve years ago, I was in search of a new career, new adventures and a new me. I didn't look back. However, my experiences with Optimist Clubs continue to remind me of the way things were and especially during the holiday season, those memories can be both happy and sad. That's the beauty and drawback of nostalgia. What got me started on this line of thinking today was a Google alert from the Downtown Belleville Optimist Club. As I scanned this list of activities in the Belleville community looking for the Optimist Club entry, I recognized so many more places and references. I know just what the Highland Fish Fry looks like, and I've been to many benefit dinners like the one that tops the list for worker laid-off from work. I've visited the festivals, seen most of the town squares, and of course, participated in the Belleville Noon Optimist Club Christmas events. It is frightening, yet comforting, to wrap so many experiences into a small, random list. But missing from this list are the family and friends that come together on any given day to make our lives complete. Christmas and holiday memories are important. Take time to make them with your children and loved ones so they may look back on them with fondness. That is what makes a family. Take time throughout the year to offer your service to others. Volunteer, participate and be involved. That is what makes a community. And don't forget to live every day to the fullest, with gratitude, respect and love for all. That is what makes a life. Seth Godin spoke to the Chronicle of Philanthropy and they posted this interview on their blog yesterday. The take-away is that Seth believes that charities should fail, and fail often. He explains that failure will lead to creativity and innovation. He also believes that once charities stop modeling themselves like the corporate world, they will be able to better pursue their mission. I agree with him and I've written about why Optimist Clubs are not businesses on this blog before. Our organizations must run in a business-like manner to be fiscally responsible; however, they must always remember there purpose isn't to make money for their coffers. Their goal should be to mobilize money for the benefit of the community. What do you think? Are Seth and I headed in the right direction? Please share your thoughts. They survive cold weather, rain, sleet and snow and of course they celebrate the rare warm, sunny day in December. I'm not speaking of the US Postal Service, but rather the Optimist Club - any Optimist Club - that sells Christmas trees as their major fundraiser. In a suburb of St. Louis, where the Brentwood Optimist Club has been selling Christmas trees since 1956, they say that this year's cold and ice is rare, but not unheard of. Regardless of the conditions, they plan to keep the lot open because their programs for children depend on their successful fundraising efforts. Hear all about it from Rock Schmidt, an Optimist Club member since 1975 with an interview from KSDK. Click on the link to watch the video: http://bcove.me/f5jponm3. Video changed to a link on December 18. The North Pensacola Optimist Club gets involved hands-on with programs as well by coordinating the Optimist International Essay and Oratorical Contests and Bicycle Safety Programs. It's always good to see a list of Optimist Club beneficiaries. Yes, Optimist Clubs touch all areas of our lives. I get an occasional question about what we really do here at Experience Optimism. Well, it is very simple. We promote projects that make your community a better place to live and we share our optimistic attitude with others so they may find joy, share kindness and experience the optimism that surrounds them every day. In a Random Act of Culture, the Opera Company of Philadelphia descended upon Macy's to delight the shoppers and employees with Handel's Messiah, the Hallelujah Chorus. They were out and about on October 30, singing in the holiday season early. It's Music Sunday here at Experience Optimism and with less than two weeks to go before Christmas Day, I think right now is a great time to sing along. Sing loud; it will make you happy. Junior Optimist Clubs are good at finding new service projects to do and they manage to stay busy throughout the year. Christmastime is no different. One of the projects that came across my desk this week is taking place today, December 11, in Prior Lake, Minnesota. The Prior Lake High School's Junior Optimist Club is collecting Toys for Tots at Prior Lake Marketplace from 8:30 a.m. to 3:00 p.m. They ask that the toys be unwrapped and they ask for toys appropriate for all ages. The Junior Optimist Club started six years ago. They have been collecting toys for four years. To date, members have collected more than 5,000 gifts. To find out more about the project or the Prior Lake Junior Optimist Club, please call Amy Raetz at 952.447.1137. According to a press release, Santa Claus knows many languages including American Sign Language - ASL. 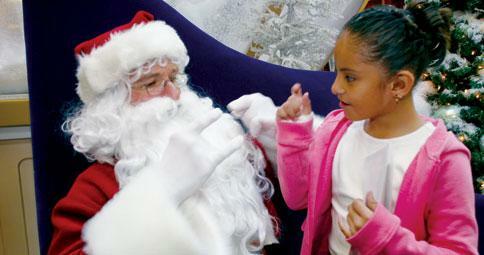 That's right, Signing Santa made his annual appearance on Wednesday at the Barton Creek Mall in Austin, Texas. He was joined by students from the Texas School of the Deaf. Signing Santa was available for pictures and to check the wish lists of deaf and hard of hearing students. He then relayed those wished directly to the big guy at the North Pole. The students in turn provided entertainment with interpreted Christmas Carols. The activity is sponsored annually by the Northwest Texas District Optimist Clubs and Junior Optimists. The Optimist Club members serve as elves, help with pictures and make sure there is present for every student under the tree. Optimist Clubs will be out in full force this Saturday performing holiday projects in their community. The River East Optimist Club in Winnipeg, Manitoba is no exception. This year they will have three events taking place to help Santa reach more kids. 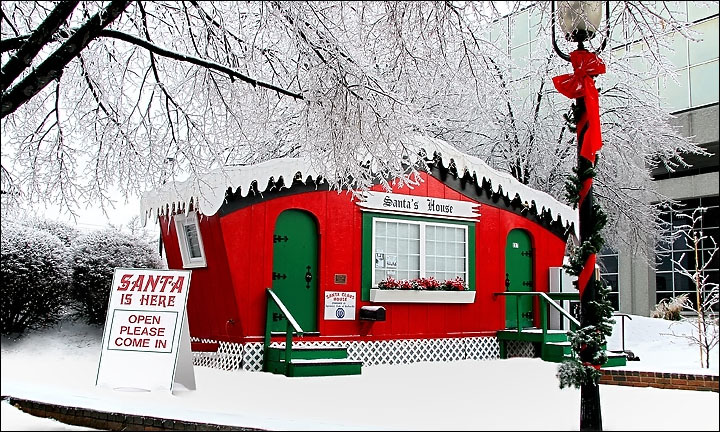 Beginning at 11:00 a.m. on December 11 is the Annual Breakfast with Santa. It is free for children 12 and under. 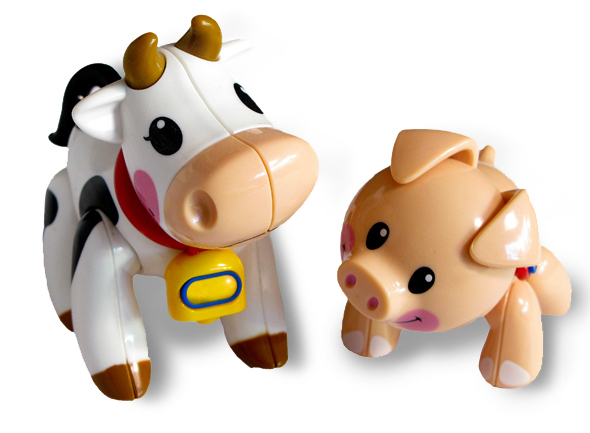 Kids get free breakfast, small gifts and admission to the kiddie flea market. Following breakfast, the Kiddie Flea Market begins. Everything is priced under $1 offering children the ability to purchase gifts for their families. There is also a Skate with Santa as the shoppers take some time out for some exercise and fun. According to Optimist Club member Victoria Young, program founder and coordinator, the holiday tradition began in 1998 and has been growing ever since. "It's a way for families to do something at Christmas time that doesn't cost bundles of money," she explained. All activities take place at the East Elmwood Community Centre, 927 Beach Avenue, Winnipeg, MB R2L1E3. Children under 12 are free. Adults and those over 12 will pay a small admission fee of $2 which enters them into a $100 gift certificate drawing. In Plainfield, Indiana, the Junior Optimist Club at Plainfield Community Middle School will take part in an annual tradition: Christmas Caroling in the Community. They have a special twist on their event. In addition to sharing holiday cheer and fun, they collect canned goods that are given away by counselors at the Middle School. 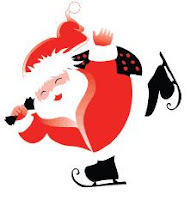 The event will take place throughout Plainfield neighborhoods on December 9, 6:00 to 7:30 p.m. Flyers are being distributed several days before to alert residents to the purpose of the carolers and other organizations and groups have been asked to join the 50 Junior Optimist Club members in the fun. Thanks to Junior Optimist Club sponsor Joan Effinger for the story. What is your favorite Christmas project? Please tell us about it here. One hundred and forty unsung heroes were praised by the Winter Haven Optimist Club, Winter Haven, Florida at the annual Youth Appreciation Luncheon. This is the 24th consecutive year that the club has recognized students, teachers and administrators from the 70 schools in Polk County. Each school was asked to send two students to the event who have demonstrated good conduct, positive attitude, school spirit, and a strong desire to do their best at all times. In addition to lunch and praise from the Optimist Club and a host of guest speakers, each student received a goody bag filled with educational items. Four teachers were also recognized as being unsung heroes during the afternoon event. Over the years, more than 3,800 students have been honored by the Winter Haven Optimist Club during Youth Appreciation activities. Yes, Winter Haven Optimists are friends of youth. For months, maybe years, I have been espousing the need for true engagement between Optimist International leaders and Optimist Club members. For me, there seems to be a disconnect between what the clubs want and what the international office is willing or able to provide. The result: Optimist Clubs are entrepreneurial; they do what is needed in their club and community at any given time within their own framework and knowledge-base. Is this a good or bad thing? Well, as the saying goes that I so dislike, it is what it is. It is neither good or bad for the successful Optimist Club that is able to serve their community year-after-year. But can the same be said for the club who is burnt out and not so successful? Are they at risk for terminating their service in their community? Or how does that affect the organization known as Optimist International? What is their investment in a locally-driven project? What is their ownership? What is their involvement or what should it be? What do they receive for that payment? Is the perceived value the same for all communities? If not, why not? What, if anything, is missing from the menu of services? If there is something missing, how would the missing ingredient be used to advance the reach of Optimist Clubs in your community and the world? I believe there is a lot of power in asking the right questions, but I also believe there is power in answering them. According to recent global study, one in three executives say they are often unable to find the right people to provide them information. One can only wonder how the employees and customers must feel if that is the case. So with 3,000 Optimist Clubs, representing 90,000 Optimist Club members, research would suggest that we need to ask everyone. We also need to apply appropriate filters to assess the relevancy of the answers received. We need to digest and report those answers, generate new questions and establish an ongoing dialog with those who are interested in participating using established social media tools. We need for the Optimist International organization to be approachable and transparent. An observant reader might ask, who is "we?" You guessed it; "we" is you and me. We make up the Optimist Clubs that are Optimist International; not only the staff and leaders. We need to be involved. 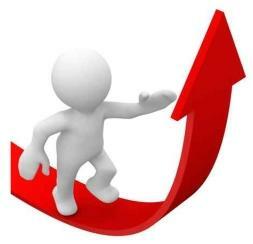 Optimist Club growth does not happen because of advertising, surveys or blog posts. It happen because people are engaged with one another. Never forget, relationships matter. What we say to each other makes a difference. What we don't say, even more. President Obama made an unannounced trip to Afghanistan this week to visit the troops. I watched the speech via live streaming from the www.Whitehouse.gov feed. You can watch it too by clicking on the link. However, what moved me the most not the speech, but rather the choice of songs that played following the President's address. It began with Only in America by Brooks and Dunn, a song that tells us to dream big for there are many ways our lives may take us, but if we follow our dreams anything is possible. Please enjoy Only in America, this week's installment of Music Sunday at Experience Optimism. Like any organization, Optimist International is made up of volunteers who are passionate about their cause. That passion drives leaders to ask their followers to adopt new ways of thinking and make progress within their terms of office; often one year at a time. In order to accomplish their mission, these leaders spend a lot of time teaching how-to courses like how to write a budget, how to lead a meeting and how to recruit new members. Sometimes it seems like there is a lot of teaching going on and not a lot doing, seeing or feeling what the real activity is like. When I saw this video on Fast Company, I thought, aha here is the answer. Here is what motivates people to want to change. Please take a look and consider how you might add this approach to your recruitment and leadership style. Don't be afraid to discuss your ideas below. Optimist Clubs sell a great number of Christmas trees every year, even in Miami. I saw this picture and I wondered, where do Christmas trees come from in the southernmost United States? According to the Optimist Club of Miami Springs, Florida, their shipment came from Boone, North Carolina. The tree of choice is the Frazier Fir and they sell for anywhere in between $25 and $100. Like most Optimist Clubs, they plan to sell out of their 1,000 trees in 2 weeks. Happy selling! See a related article in the River Cities Gazette. 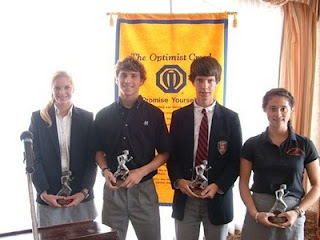 Optimist Clubs like to honor students for being good people, especially those who are willing to contribute to society or provide aid and comfort to others even without recognition. And I think they do a great job too. Please take a look at these slideshows and share your thoughts with us. See a slideshow from the Knoxville, Tennessee Optimist Club Youth Appreciation ceremony. See a slideshow from the Jerome, Idaho Optimist Club Youth Appreciation ceremony. Awareness. So much of our lives is spent becoming aware, or helping others be aware of something. Something important. Today is AIDS World Awareness Day. Celebrities on Twitter are going silent to raise awareness and money for AIDS research. Governments around the world are making profound statements to encourage understanding and awareness and to promise research will continue to fight the dreaded disease. It's all good. But Google is raising awareness of something else. Did you know that December 1 is the anniversary of the modern Civil Rights Movement in the United States? Fifty-five years ago Rosa Parks, a 'colored' 42-year-old woman in Montgomery, Alabama, refused to give up her seat to a fellow white passenger on bus #2857. She didn't plan to be arrested. She didn't plan to start a movement. She was tired after a long day at work and felt it was her right to sit and if it took an overt action to make the point and speak out against oppression, it was time. Perhaps that is why we have so many days for awareness. The time is always right to do the right thing and we don't know what the right thing is until we know the issues and concerns, and can understand and empathize with the plight of others. Be aware. Be kind. As Plato said, "Everyone is fighting a hard battle." Before he was the King of Pop and a thought provoking and misunderstood musical icon, Michael Jackson was a superb performer with his family in the Jackson 5. For Music Sunday here at the Experience Optimism blog, I've put together a three-pack for Michael lovers: Blame it on the Boogie, We are the World (Africa), and Man in the Mirror. Blame it on the Boogie has become one of my favorite songs even though I wasn't familiar with it before Michael's untimely passing. It makes me think, what else didn't we know? We knew the unusual and sordid details of this man's life. Many ignored the good that he accomplished as they made him a target for ridicule and lawsuits preyed on his money and fame. Others ignored his humiliation and simply sang along when a favorite Michael Jackson song came on the radio. Over the past week, my quotes have centered around kindness. Money and celebrity aside, I am convinced that Michael Jackson could have used a little more kindness in his life. I imagine you know someone who could use some kindness too. Please go out of your way this week to show them you care. In order to do good deeds throughout the year, many Optimist Clubs hold Christmas tree sales. More and more those sales lots are challenged by other entrepreneurs who have taken to similar tactics to raise a quick buck. This year in British Columbia, one can purchase a Christmas tree from IKEA for $20 and that money goes to a youth choir that the store has chosen to recognize. We speak often that we need our businesses to be good corporate citizens, so this is a good thing. However, it does point out that the local service club can no longer trust that if they open a Christmas tree lot on the corner that people will flock to it. Service club members need to be engaged with others in their communities so they can tell them about the Christmas tree sales and all the good that they are able to do with the money they raise. Members must invite their friends and acquaintances to buy from them and make a difference in the community. Word of mouth marketing is essential to good sales. Tell your story and who knows - you might even gain a new member or two. Merry Christmas! How do you say thanks? Scott Williams, author of Big is the New Small, posted the following Thanksgiving message on his Twitter timeline, "Be thankful for what you have, who you are, what you've been through and what you will go through..."
I like the sentiment because it encompasses every phase of our life. It is positive, reflective and hopeful. Most of all, the saying reminds us that compassion and gratitude is within us, borne of our own experience. Why then, do we often fail to openly express our gratitude with others? Why do we need to be reminded that it is the right thing to do? Thank you are words that should be said, but as mother told us, actions speak louder than words. Don't worry when you don't hear the words as often as you think you should. Try harder to say thank you even when you don't believe it is necessary. Above all, practice kindness. Being kind demonstrates your gratitude for being both a contributor and a participant in the world. Kindness is gratitude in action. I like the idea of music Sunday here at Experience Optimism. I hope you do too. Earlier this week I was listening to an old playlist that I had created some time ago on YouTube titled Optimist Juke Box. I really like the songs that are on it for they inspire me to do more. Sometimes, especially on Sunday, we need to be reflective; perhaps even more introspective. Please enjoy "Change the world" by Eric Clapton from the movie Phenomenon. Here's a great way to make a small donation that will make a difference. It's called Skip1.org: Skip something. Feed a child. The concept of Skip1 is to foster and enable a community of giving around hunger and related causes. It asks you to give up something like a dinner, coffee, or snacks and instead donate the amount you would have spent to the Skip1 cause. Their cause changes occasionally as they team up with others like the Caballona Kitchen Project and Invisible People. Through the end of November, they have a matching challenge from Karen Kingsbury who has pledged to match up to $10,000 in donations through 11/30/10. Please check out the site and consider making a donation. If you are a service club, consider the value of social media in driving donations for this cause. Think about how it is creating a community around caring. How can you do that at home? How are you doing this at home? I would love to hear your thoughts. Please leave a comment below. Oh no, it's a post about another service organization! I hope you don't mind, but with a campaign title like "Engaging our Youth," I couldn't resist giving a shout out here to the projects that were performed around the world by Lions Clubs International in August. Please click on the Engaging our Youth link to see pictures on Flckr. In Istanbul, Turkey, the Lions Club sponsored a basketball team. In Lusaka, Zambia, the Lions and Leo Clubs visited disadvantaged children donating food, clothing and cleaning supplies. In Timisoara, Romania, the Lions and Leos worked together on a book drive. In Malaysia, the Lions and Leos conducted a joint blood drive and engaged 14 other youth organizations in the project. In Ontario, York Region, Ontario, the Lions Club sponsored a Wii tournament on Canada Day. In Argentina, the Candelaria and Posadas Lions Clubs helped restore supplies for a family who lost everything in fire. In Michigan, USA, the Napoleon Lions and Leo Clubs painted 38 fire hydrants in their community. It's easy to see how our service clubs make a difference by addressing needs in their local communities. No matter the brand of service, being aware and involved is the key. How have you or or your organization made a difference lately? Please leave a comment and tell us all about it. The Nametag Guy, Scott Ginsberg, gave the keynote presentation at the 2010 Optimist International Convention. His topic: How to make your Optimist Club more joinable. If you are familiar with Scott, you know that he has been wearing a nametag for 10 years. This experience has made him an authority on being approachable. Take a look at this 7-minute clip that I found on Scott's blog and experience his personality; imagine what it would take to encourage a number of Gen X and Gen Y individuals to join your Optimist Club. The next step is up to you! Creating mutually caring, beneficial relationships is the key to service above self. Perhaps Sunday should be designated music day for the Experience Optimism blog. A song that makes you move and an enthusiastic performer adds up to a whole lot of happiness in my book. Enjoy! Optimist International is divided into eight regions and forty-nine districts for administrative purposes. This year, for the first time ever, the organization encouraged the districts to combine their first quarter conferences into regional events. Seven of the eight regions did so and with only one more to go after this weekend passes, we can say that it has been more of a success in some regions than in others. Attendance has ranged in the US from 65 to 400 members. In Quebec, there were 750 members registered. Much to his credit, Danny Rodgers, President, Optimist International, has been at every event to motivate and teach Optimist Club members. Although my region is the one that chose not to have a regional conference, I am friends with many of the district leaders on Facebook and I have seen their overwhelmingly positive reactions to the conference they attended. (I've also noticed that more than a few attended more than one conference.) Today I found a quick little notice in an Optimist Club newsletter about their impression of the event. According to the Opti-mill News, the official publication of the Milton, Ontario Optimist Club, five of their members attended the "Parallel District Conference in Niagara Falls." Attendees included the president and president-elect, a member of the club's board of directors and two members at large. While there, they saw presentations from Optimist International leaders previously only seen at the International Convention. "So look out," the newsletter editor says, "your members that were present came away with a lot of ideas that can be done by your club. You will hear more about these ideas in the coming months." I wonder what those ideas were? I wonder if that was a boilerplate statement given to all bulletin editors to use? I wonder if there was a similar experience at each event; that is, I wonder if the same message was given across the United States, Canada and the Caribbean? I wonder if those who did not attend will ever receive the message? I hope so. One of the things about nonprofit associations that is both endearing and perhaps sometimes annoying is our capacity for R&D - that is, to "rip-off and duplicate." I saw this great idea today on KTVB Channel 7 in Boise, Idaho. With a big football rivalry between Boise State University and the University of Idaho taking place this weekend there are a lot of color stories out there about the universities. In this story, Professor Terry Armstrong describes how he accidentally started a scholarship fund from found money that is now worth nearly $300,000. His goal is to reach $1M. So what do you think? Can your Optimist Club R&D this project? If you like this idea, please join me in sending a check for at least $11 (his first year investment) to the University of Idaho, Found Money Fund, 714 W. State Street, Suite, 230, Boise, Idaho 83702. My friend Buzz Buswell sent a message and reminder to many of his friends today regarding why we celebrate Veterans Day. It included this poem written by Canadian physician and artillery Captain John McCrae in 1915 during his service in France. His poem and the red poppy are remembrances of the "War to end all wars." Thank you to our veterans. And thank you Buzz for sharing this message and especially for your service to our country and freedom. It's not very pretty, but it is effective. That's right, I'm reviewing another Optimist Club website today. I came across this one from an alert about sponsorships. 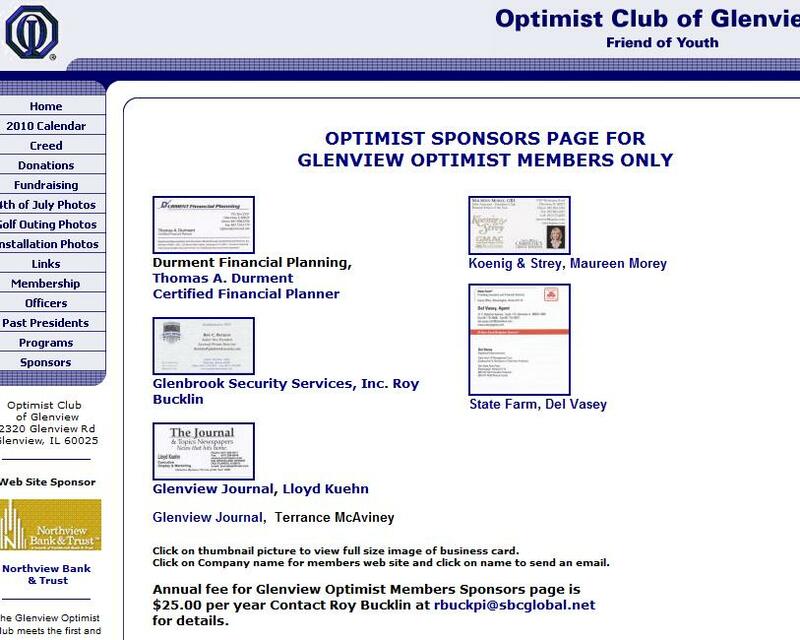 According to the alert, the Optimist Club of Glenview, Illinois was offering sponsor links from their website for a mere $25 annual donation. Seems like a good deal to me. I clicked over to find that was an offer for members only, and still a good deal. In addition to making a little money from this endeavor, it allows the Optimist Club to promote local businesses and increase networking activities. We join Optimist Clubs to serve our communities, but networking and increased business opportunities are a positive way to reward our dedicated members. Don't be afraid or too shy to promote your connections to your community on your Optimist Club website or blog. On Monday, the Odessa Optimist Club will host its 45th annual Youth Appreciation Banquet. This year’s program will be held at Barn G of the Ector County Coliseum, and will recognize almost 300 outstanding youth in our community — with expected attendance of more than 1,000 people. This event offers junior high and high schools in Ector County the opportunity to recognize our outstanding youth through a broad array of categories — such as athletics, music, academics and community service. Youth Appreciation Week was started in 1955 by an Optimist Club in North Carolina, becoming a signature program of Optimist International in 1957. It was brought to Odessa in 1965 by an Optimist club member who had just moved from Wichita Falls. That member was Glen Atkins — a true Odessa statesman and treasure. While this will be the 45th annual banquet, regrettably it will be the first without Glen who passed away in May — but it serves as an example of how the legacy of people with positive vision and leadership lives on in our community. The Odessa Youth Appreciation Banquet has grown over these 45 years through the hard work of many members, and the incredible assistance of the Odessa Chuck Wagon Gang. The first event recognized 12 outstanding youth, but rapidly outgrew both the basement of the Lincoln Hotel and Barn A, and has been held at Barn G for the last 30 years. The Odessa banquet is recognized as the largest Youth Appreciation event of the 2,000 such events conducted by Optimist Clubs across the U.S., Canada and the Caribbean. In recent years, this program was honored as the outstanding community service event out of the 65,000 conducted annually by Optimist Clubs. Due to these recognitions, this year’s banquet will feature Optimist International President Danny Rodgers. Please join me in offering congratulations to the outstanding kids recognized at the 45th annual Odessa Optimist Youth Appreciation Banquet! The sound of rain, a capella, performed by Perpetuum Jazzile. Pretty. Neat. It's one of those things that make a Sunday afternoon peaceful. Enjoy. The Optimist Club Truckee, California is getting ready for Christmas...Christmas Tree Sales that is. According to an article in the Sierra Sun, the sales are set to begin on November 27 and will conclude on December 23. Find out more about the schedule at the Truckee Optimist Club website. The Truckee Optimist Club is a very active fundraising club. I enjoy watching their well-known Cannibal Cruise and know that they are serving the youth in their community because they tell us so on their website. Click here to see what the Truckee Optimist Club funds throughout the year. 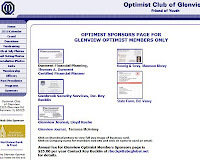 Does your Optimist Club website describe how the money from your fundraising efforts are used? Be sure to pass on the positive outcomes that you have on your community. I can be pretty serious as I write on this blog. What we do as Optimist Club members, or what any service club member does in their community, is important. When the community steps in to provide support so that our government funds can be used more effectively, that's a good thing. When groups of people come together to work towards common goals, that's a good thing. When we learn to be leaders and pass on positive thoughts and progress for the generations that will follow in our paths, that's a good thing. But sometimes, we have to be reminded of something silly. At least that's what a friend said to me today when he encouraged me to post a quote from George Carlin on the Experience Optimism blog. So here's to you - you know who you are - "Don't sweat the petty things and don't pet the sweaty things." Smiles to all. Enjoy your day! Leaders come in all shapes and sizes. Some of them are even junior golfers. Last week the Optimist International Tournament of Champions for junior golfers was held in Orlando, Florida at Disney's Palm Golf Course, Walt Disney World Resort. At the end of the 2-day tournament, the leaders and winners were Giovana Maymon, girls 14-18; Evan Deroche, boys 14-15; and Harrison Winger, boys 16-18. Winger, hailing from Orlando, dominated the tournament with two eagles and ten birdies and finished with 66-68 --134, ten under par and six strokes ahead of the competition. Find out more about Optimist International golf at this link: http://www.optimist.org/e/juniorgolf/toc1.cfm or follow the Optimist Junior Golf Flickr stream. It is Election Day in the United States of America. It would be easy to wax on about the importance of voting in a democracy. It would be simple to talk about how happy I will be to have this election season and all of it's mud-slinging behind us. But instead, I'm going to congratulate a winner of a different election. Her name is Leigh Ann Cate. 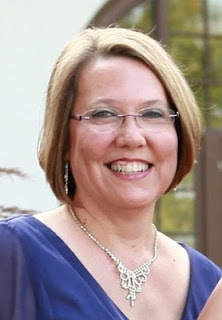 She was elected the charter president of the brand new Optimist Club of Carter, Tennessee, chartered on September 27, 2010. Congratulations Leigh Ann. May your Optimist Club serve your community well. The Optimist Club of Mobile, Alabama recognizes cross country runners every week during the school cross country season. Last week they were proud to welcome athletes from the Nature Trails Challenge and the Mobile County Championships. Click here to read the whole story and see a slideshow of the students. Optimist Clubs and Districts have fun as they provide service to children and their communities. Over the weekend, the California South District had a little Halloween fun at a get-together the evening before their first quarterly administrative session and general board meeting. To the right is a picture of Cal South District Governor Jim Walker taken with my Android phone at dusk (sorry it is not a better picture). 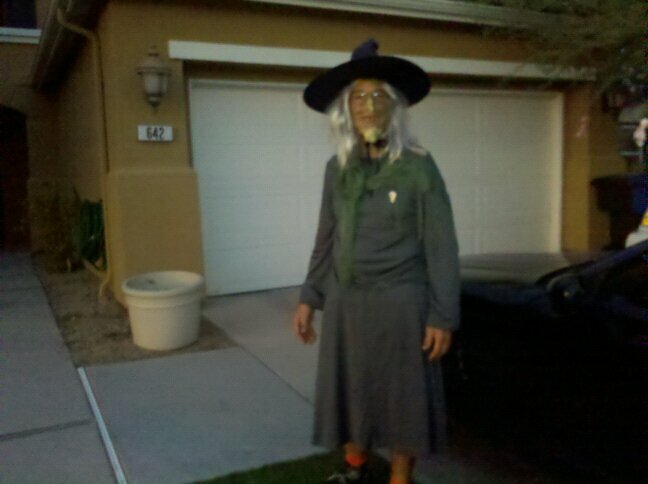 He was a scary, funny and welcome witch at the evening social event. Good luck to Governor Jim and the Cal South District. May you REACH your goals in the coming year. The Windsor Police Department and the Optimist Club of Windsor, Ontario are planning to treat the tricksters this weekend with more candy than they can handle at the 28th Annual Halloween Party. The party is held every year at the Windsor Community Recreation Center. The focus is on safety with lots of fun and candy included. The event began in 1982 as a way to keep children off the streets. According to police chief John Michaels, "The event is a fun and safe alternative to walking the streets of Windsor, and because it is indoors, there is no need to create a costume big enough to fit over those bulky winter coats." As a bonus and a tribute to the great success of the event, they are now privileged to see children of their first participants coming for the fun. In fact, the whole community looks forward to the event. 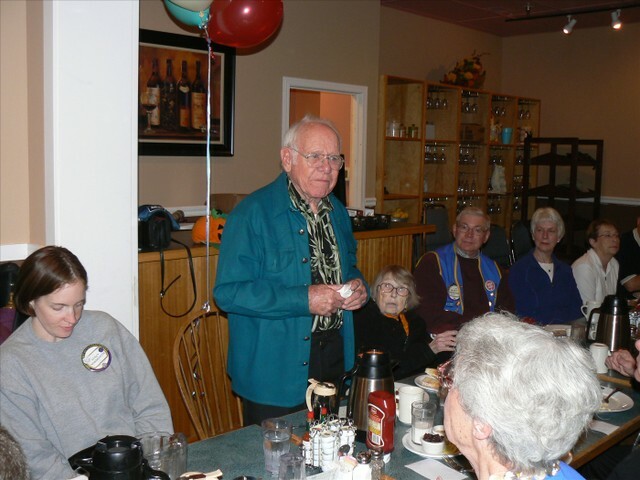 The Optimist Club of Beaverton, Oregon was chartered on February 2, 1967 and charter member Vern Williams was there. Yesterday the Beaverton Optimist Club honored Vern with a party on his 90th birthday. What a legacy! What a happy day. We wish you and your Optimist Club many more. Thanks to Beaverton Optimist Club President Alan Zehntbauer for the photo. 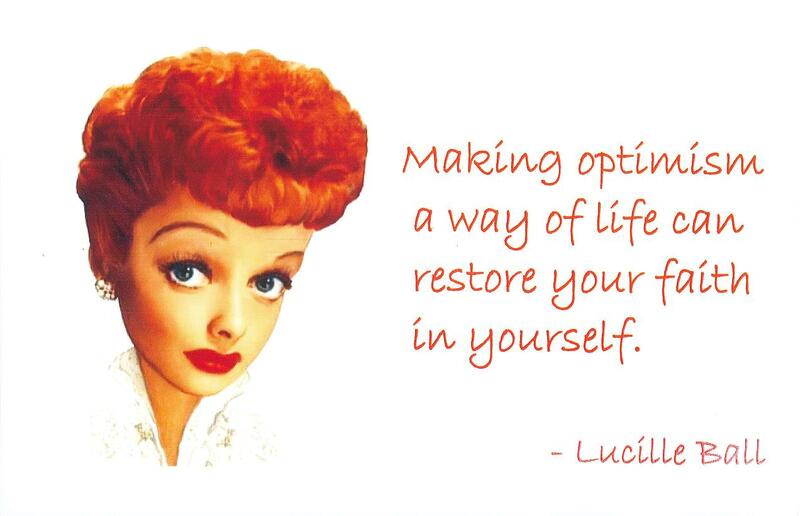 We are all about inspiring optimism here. I hope these quotes will ignite yours. Please allow me to introduce you to Bradley Craig Beck of Erie, Colorado. He too knows the value of using his Optimist Club membership as part of his business profile. Don't be afraid to click over to see what he is doing, how he is doing it, and find out about how to create a haunted house at the same time. Like Dr. Cram in yesterday's post, Mr. Beck is using Blogger and Facebook to interact with his customers and friends. Just think of the reach each one of his posts have as they are broadcast to nearly 600 readers. Think what that can mean for his Optimist Club...or yours. Encourage your members to include their Optimist Club membership on all of their personal, business and professional profiles - including Facebook. My Google Alerts turned up an entry today about an Optimist Club member in Red Deer, Alberta Canada. I thought I'd make mention of it here for a couple of reasons. Dr. Robert Cram is proud of his membership in the Optimist Club. He believes they do good things in the community or he wouldn't publicize his involvement on his website homepage. Is your Optimist Club doing things that make your members want to cheer? Don't just ask yourself this question; ask them, and then ask them to mention the Optimist Club in their personal profiles and business websites. His website is being hosted by Blogger, the Experience Optimism host of choice. This is important because Blogger is free technology. Every one of your club members, in business or not, could choose to publish what your club does and how proud they are to be a part of it. I think that asking everyone to be an Optimist Club blogger might be a bit much, but just think of the possibilities for interaction if only a few members in every club made the commitment. I'm available to help potential rookies get started. Be sure to forward my information to your bulletin editors and club presidents today. Do you and your spouse volunteer together? Do you volunteer your time to an Optimist Club? It is not unusual for only a wife or husband to belong to an Optimist Club even though both give their time freely to the efforts of the club. 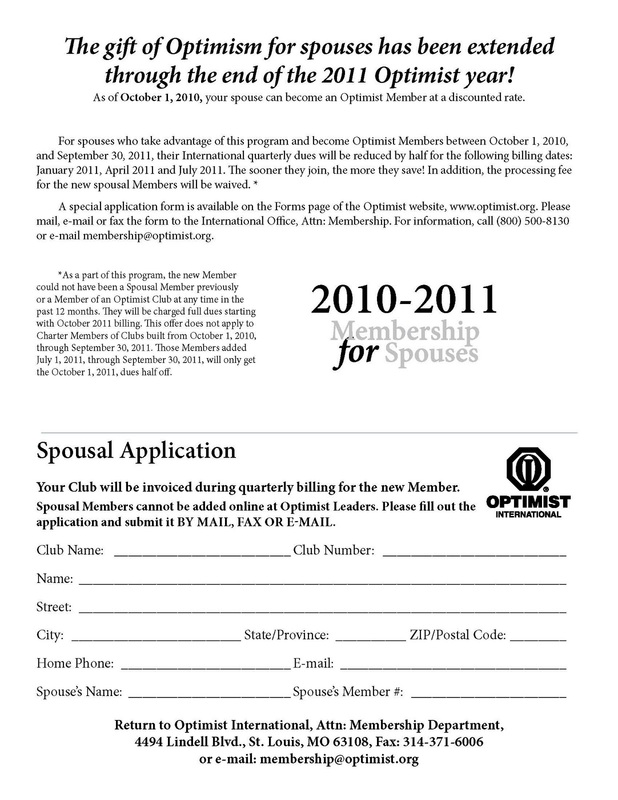 That is why Optimist International has created a Spousal Membership Option that gives a break in dues to the second spouse to join an Optimist Club. We think that is a great idea and hope that you'll encourage your spouse to join today. 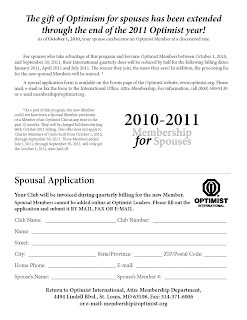 Please click on the picture to download your spouse's membership application for your Optimist Club. Optimist Clubs are preparing to recognize children in their communities as part of the Annual Youth Appreciation Week scheduled for the second week in November. With busy schedules all around some clubs will celebrate early and others may wait and celebrate months later, but according to an Optimist International spokesperson, the important thing is that the kids are recognized. Some children are recognized for grades or athleticism, but the programs that touch the most children and adults are those that recognize kids for doing the right things. One of those programs was recently held in Southern California by the Pamona Breakfast Optimist Club where Cammar Lewis was honored for turning over $100 that he found to school officials. The school was able to locate the rightful owner, a senior citizen. Good kids, good deeds, good program. Melinda Gates makes an observation: Coca Cola is ubiquitous. She says there are 1.5 billion servings of Coke consumed every day and that correlates to one serving for every person in the world every week. 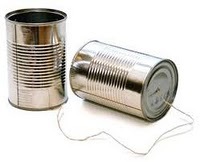 Coke can be found in even the least developed countries. Watch this Ted video and see how Gates believes Coke's model can be used to save lives and change the world.